Musical Musical love story set amidst the glamour and decadence of Paris's infamous nightclub. A young poet named Christian is hired to write a musical spectacular for Toulouse-Lautrec and his entourage, to be staged at the legendary venue. 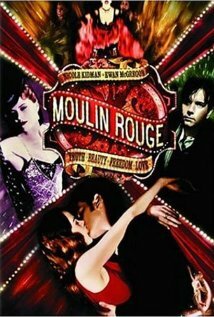 Behind the scenes, he embarks on a passionate affair with the show's star, a courtesan called Satine, putting the entire project in jeopardy. Moulin Rouge is not currently showing anywhere.